Here are a few live websites powered by iScripts Socialware. This information is submitted by our clients. 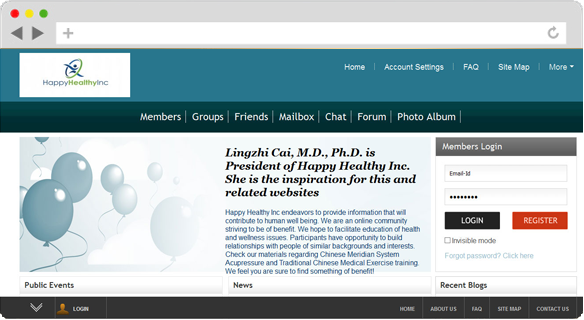 Happy Healthy Inc, a social site from iScripts SocialWare endeavors to provide information that will contribute to human well being. We are an online community striving to be of benefit. We hope to facilitate education of health and wellness issues. Participants have opportunity to build relationships with people of similar backgrounds and interests. Fetishismo.com is a social networking website for the alternative community of Fetish friends. This dating site is from iScripts SocialWare specifically for people that are into alternative lifestyles and are sick of constantly having to deal with people on other sites that are unavailable and just parking on a site and collecting friends.